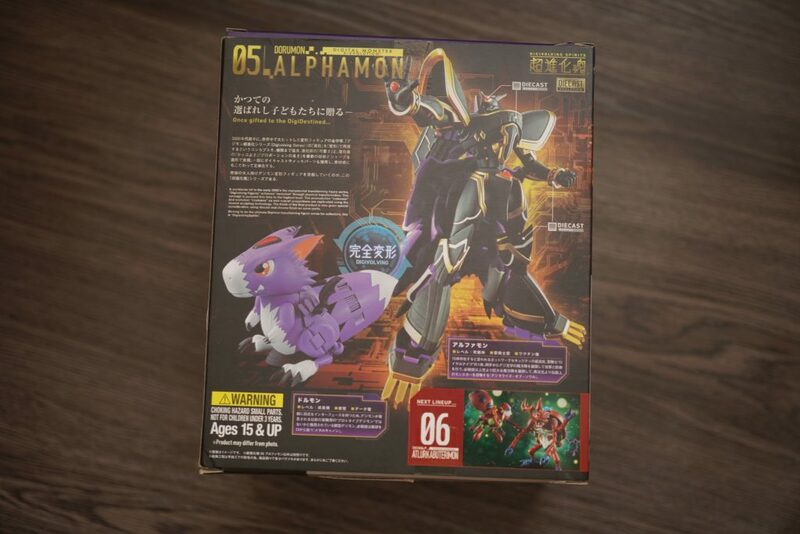 Today’s unboxing review will be all about the warrior Digimon – Alphamon. 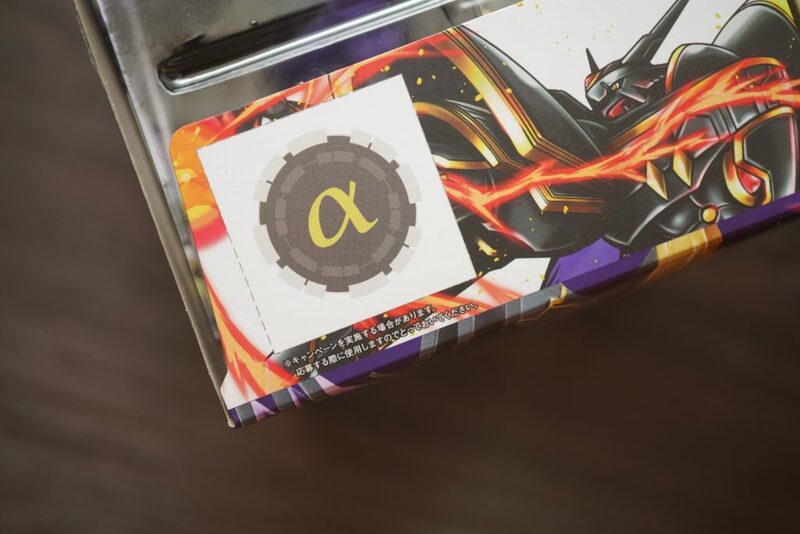 Alphamon is part of the “Royal Knights” together with the more popular Omnimon (Omegamon) and Magnamon. 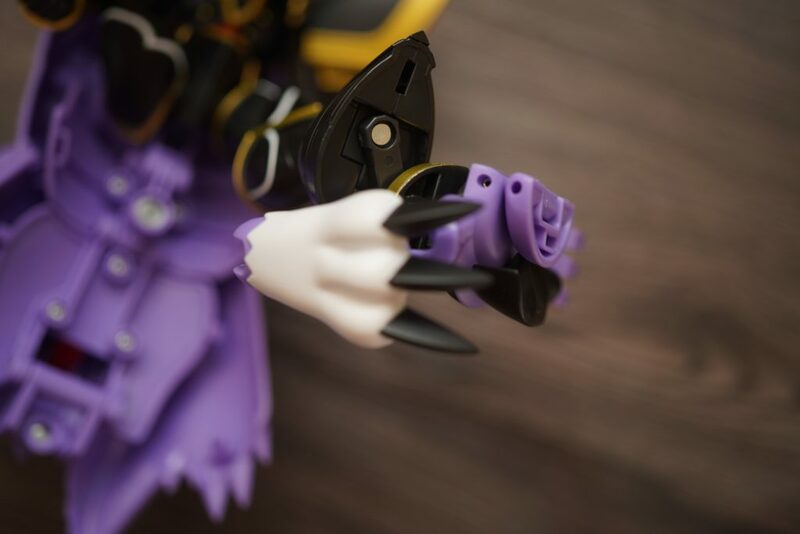 So far, I’ve done reviews for the first four released Digivolving Spirits figures and I have to say, so far my favorite would be the Angewomon figure. 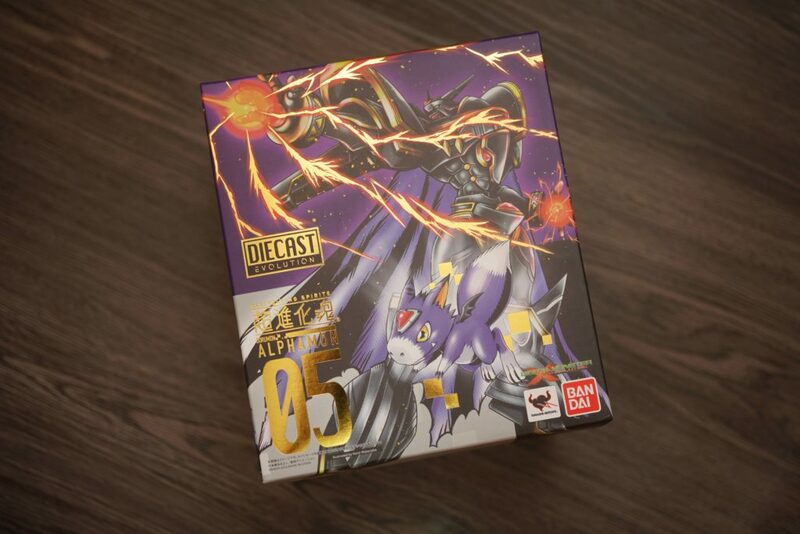 Let’s see if the Alphamon figure review would be my new favorite Digivolving Spirits figure. 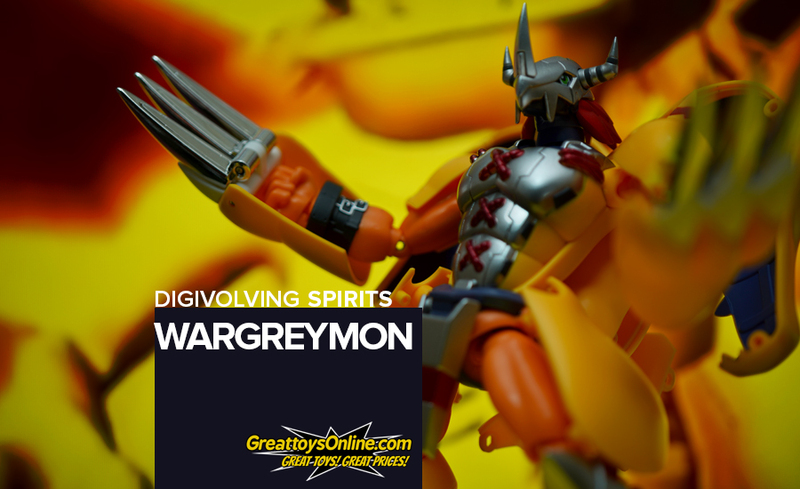 This unboxing review is brought to us by our partners from GreatToys Online. 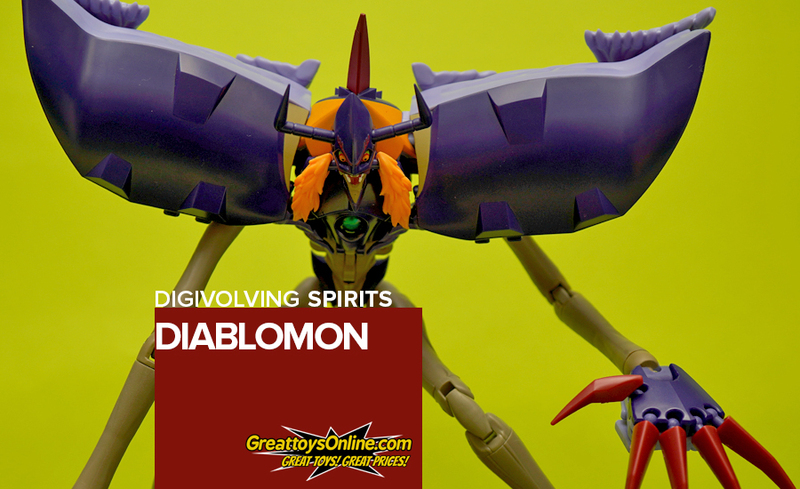 Check out their stores and see more toys and figures up for sale! 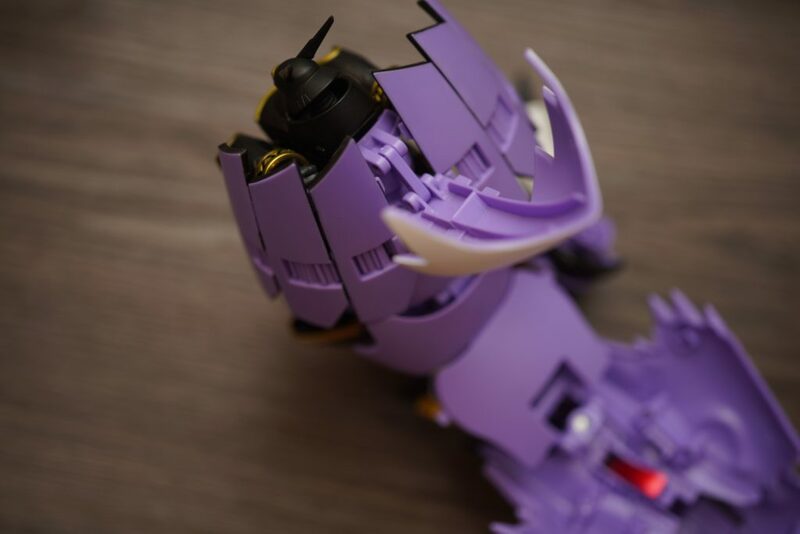 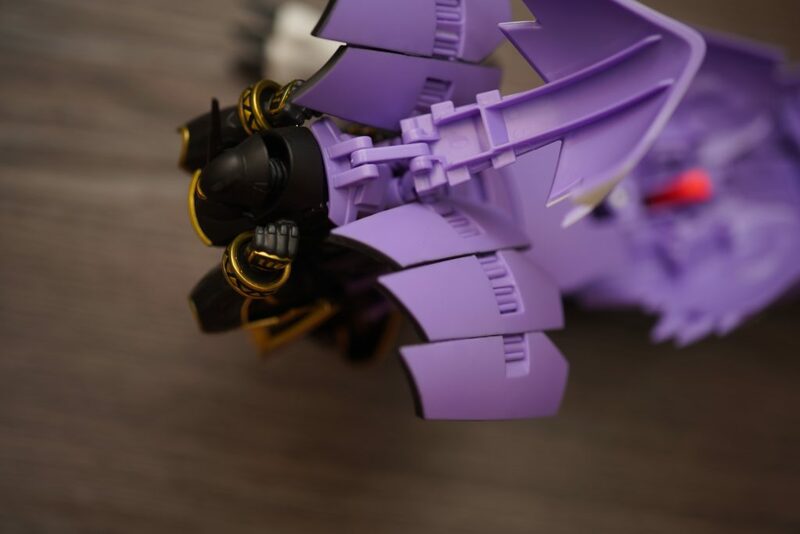 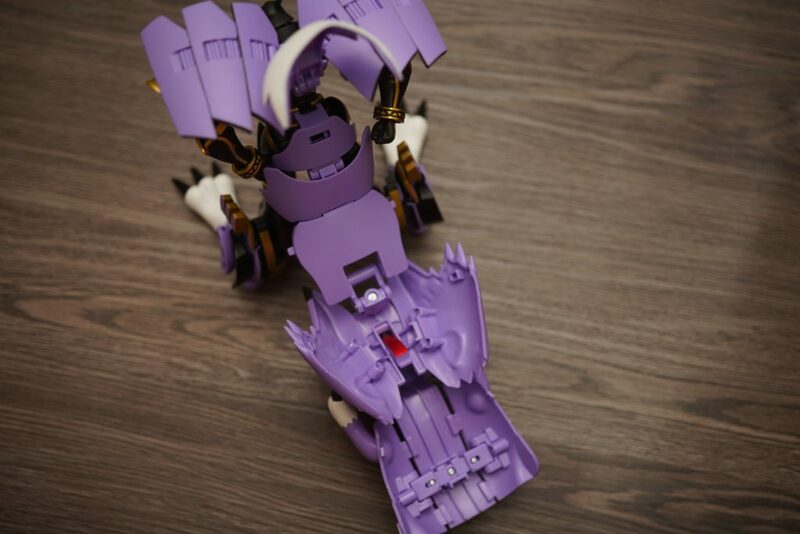 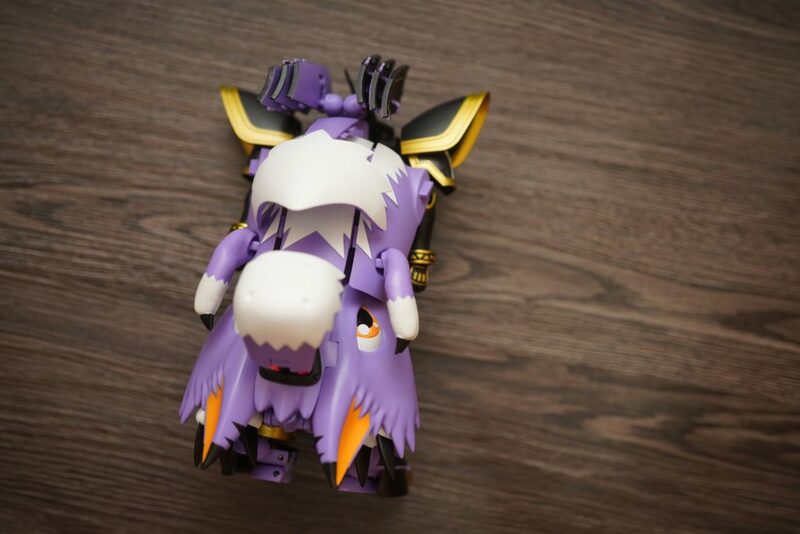 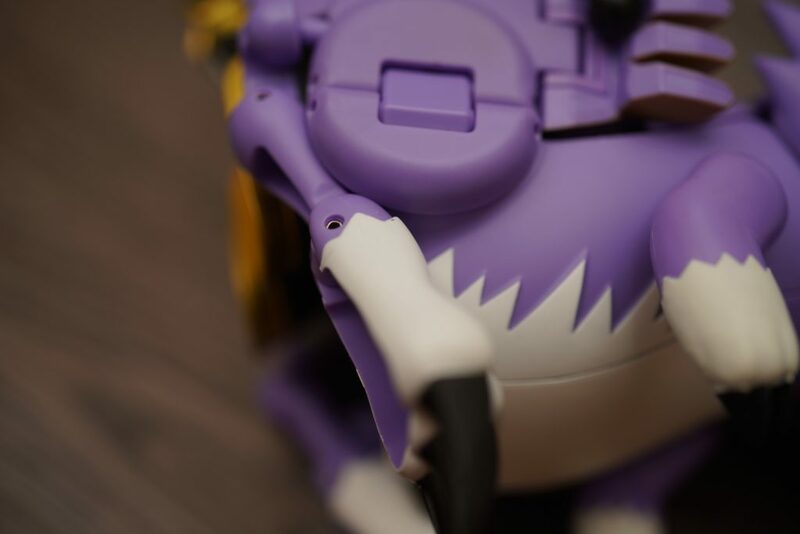 The photos for this review would feature a step-by-step transformation from Alphamon to Dorumon. 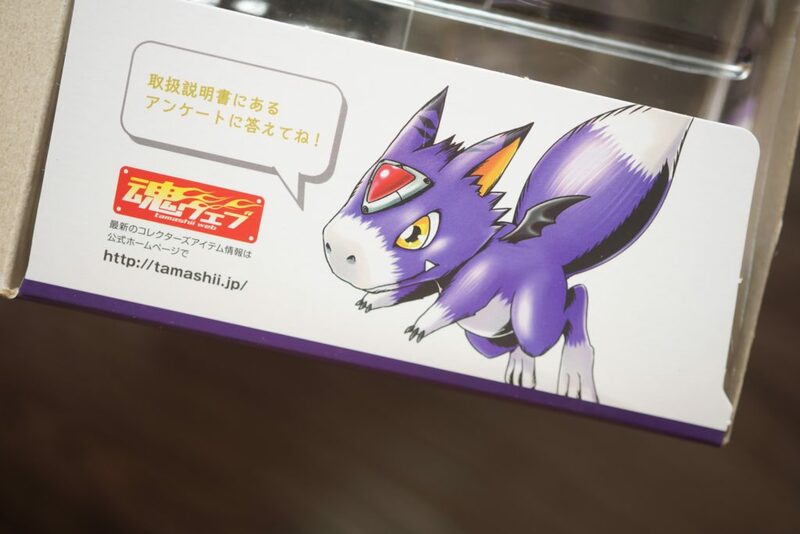 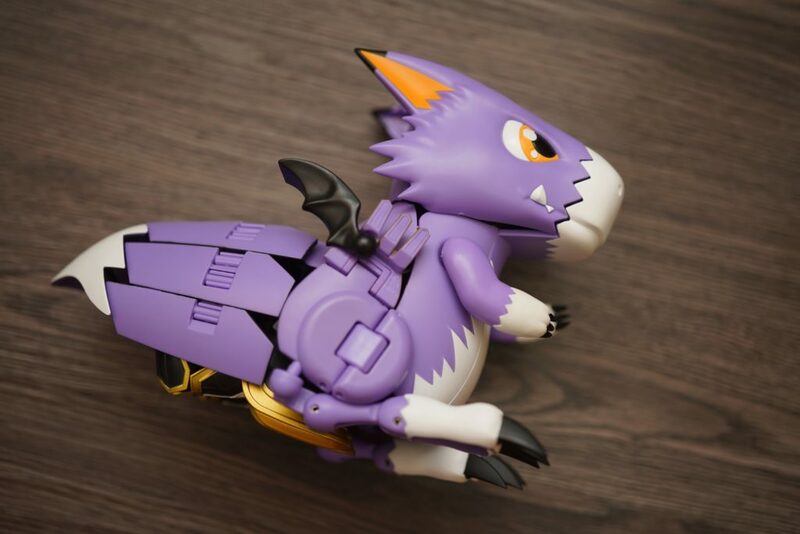 The box art design for the Digimon Digivolving Spirits figures line has been very consistently great. 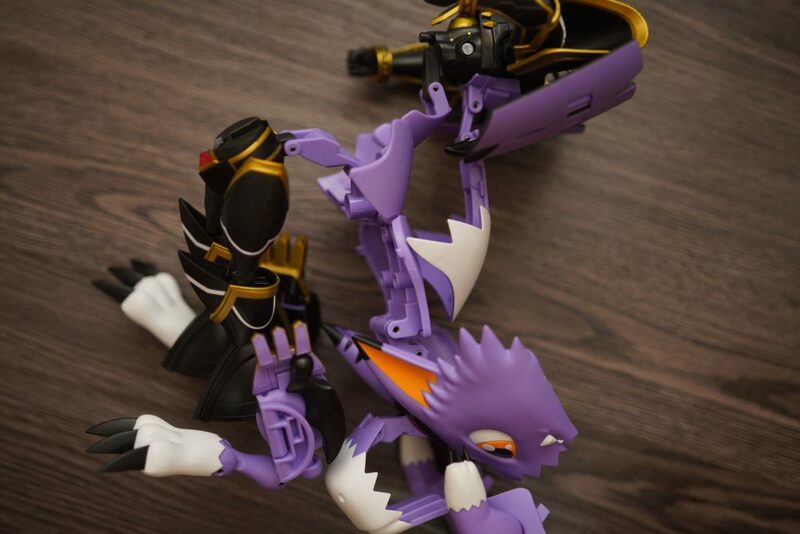 They would give you the feel that the figure inside really does transform from its rookie form to its mega or ultimate form! 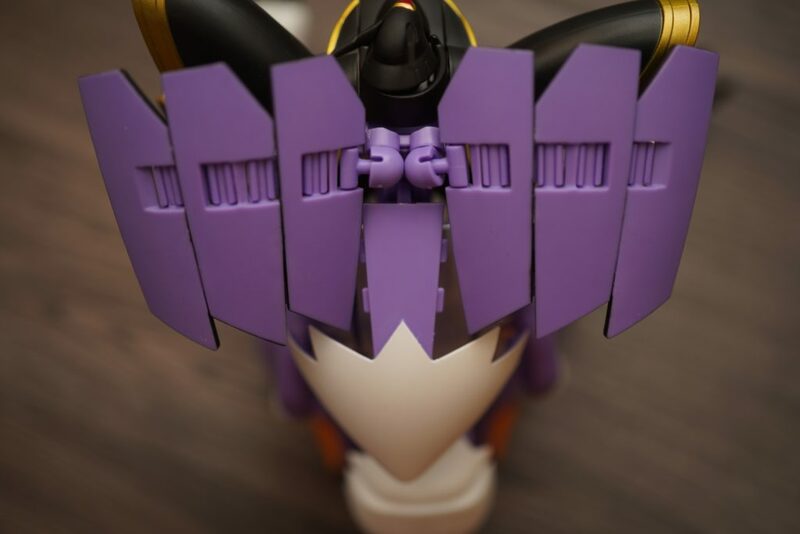 I really liked how they added little details on the inside flaps of the box as well. 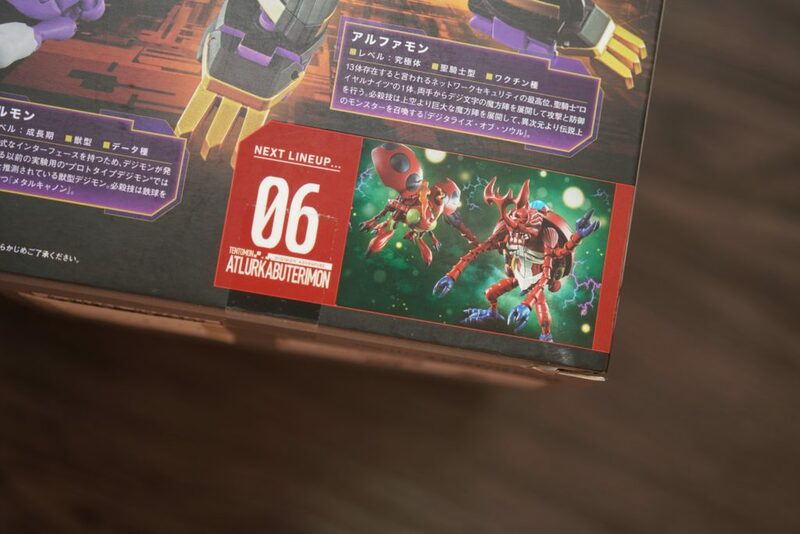 The box also showcases the next figure to be released, in this case the Mega Kabuterimon – this would be the 6th Digivolving Spirits figure. 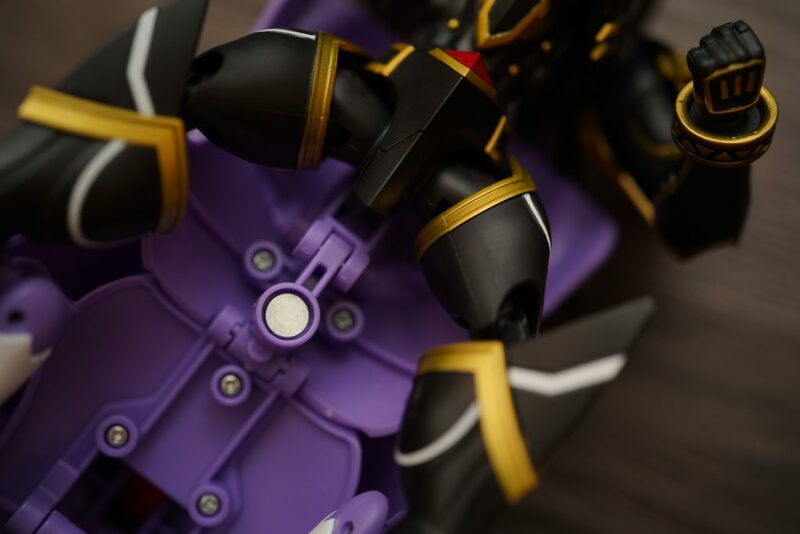 The figure would be at its Alphamon figure upon opening the set. 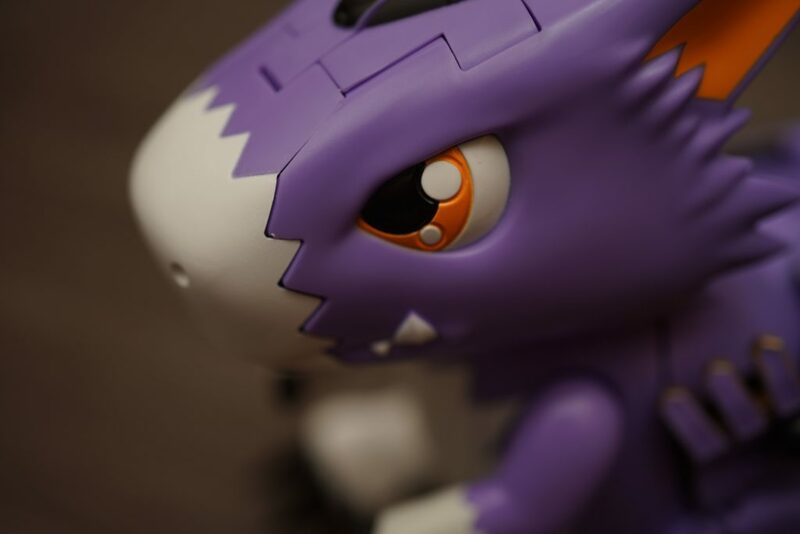 At first, you’ll notice the contrast of the colors – the blacks versus the purples – which will make you think how this could transform well down to its rookie form Dorumon. 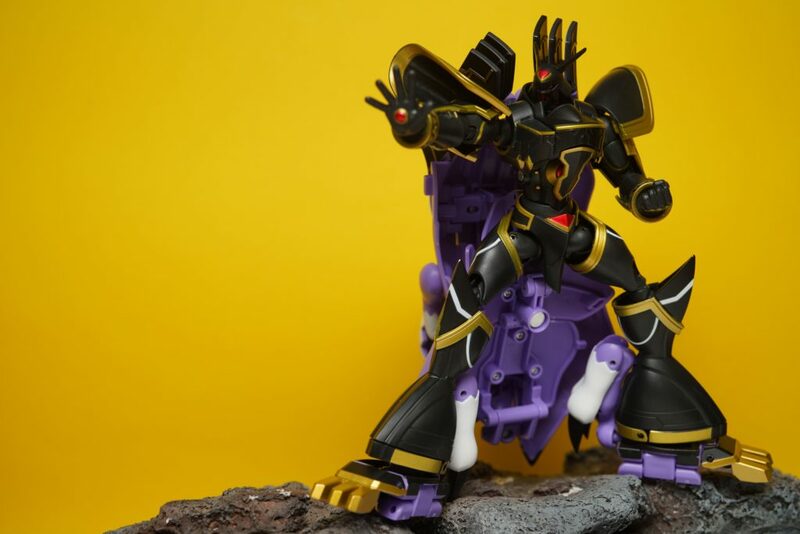 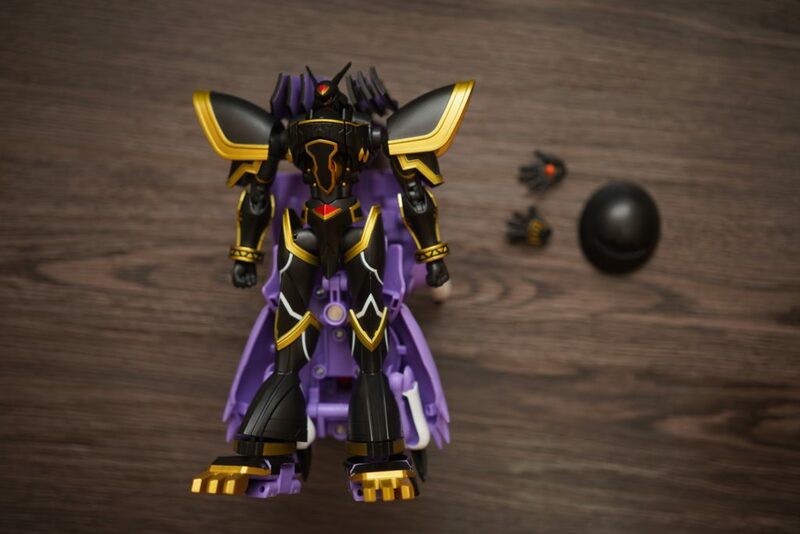 To me, the color purple on Alphamon’s transformation is still quite noticeable compared to when you transform the figure to its Dorumon form which in this case you can barely see any blacks. 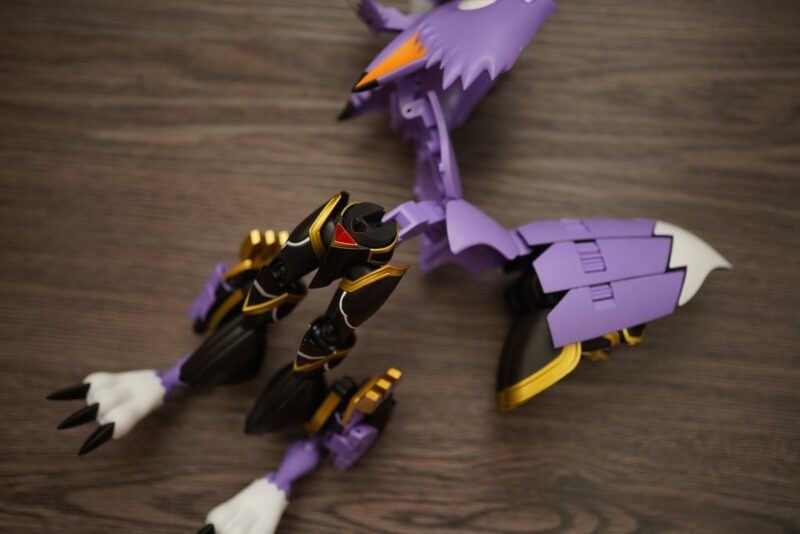 I wished Bandai could’ve done a better job hiding the Dorumon’s colors it is quite loud when transformed to its Alphamon forme. 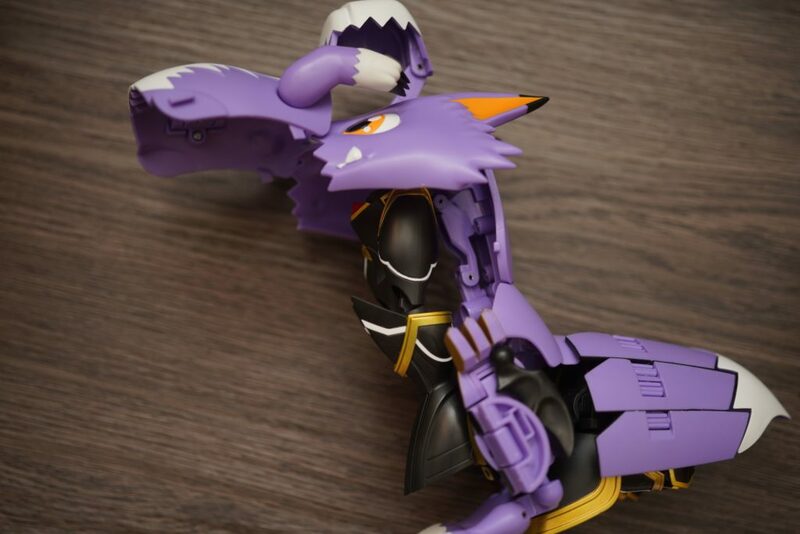 Given that this figure transforms into another one, the articulation is quite limited for both the Alphamon and the Dorumon forms. 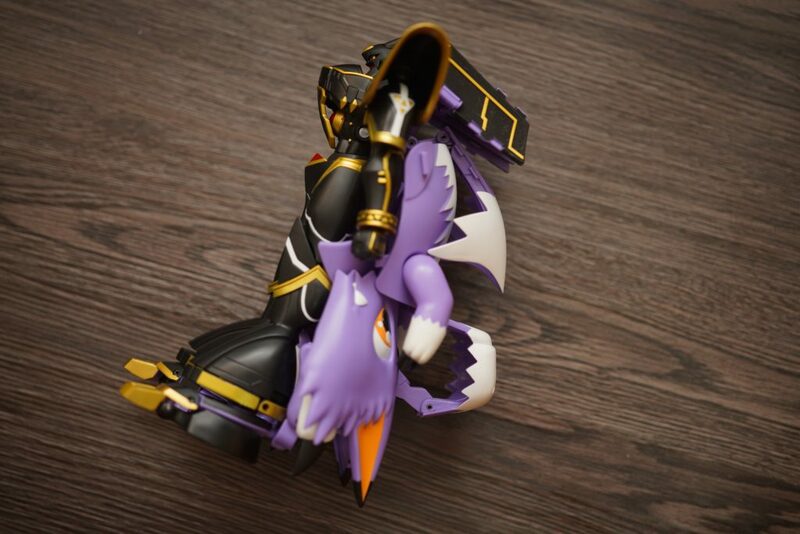 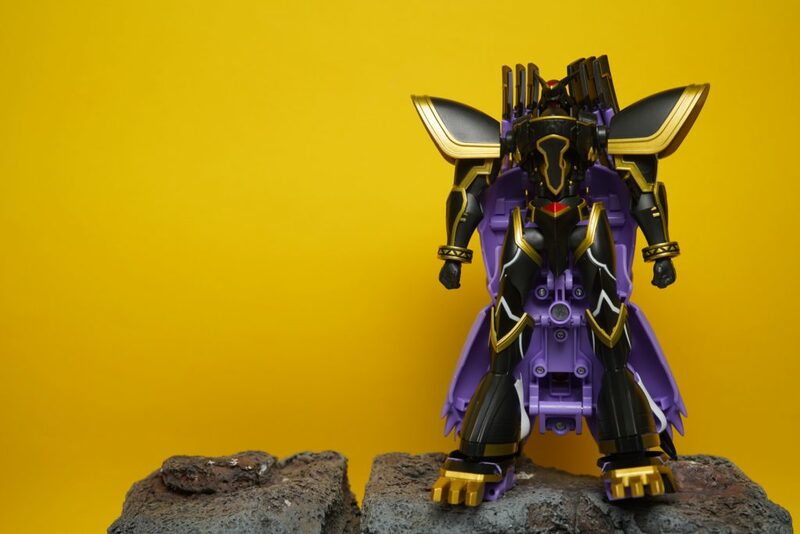 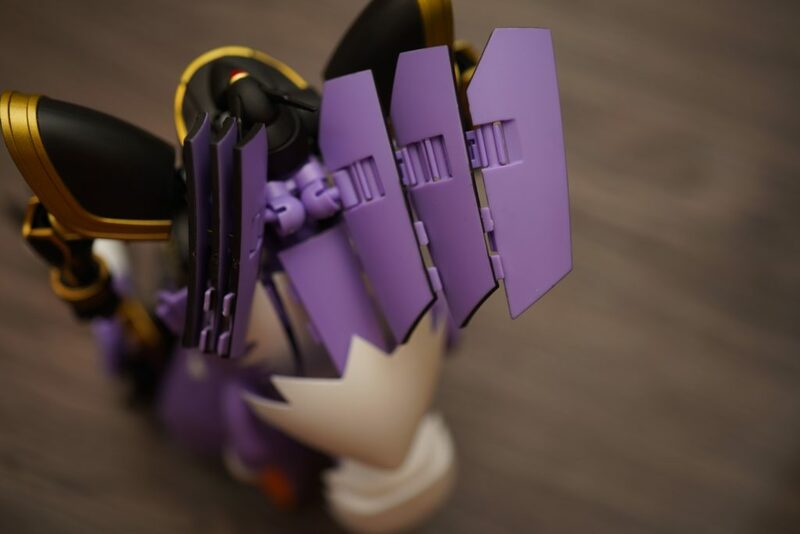 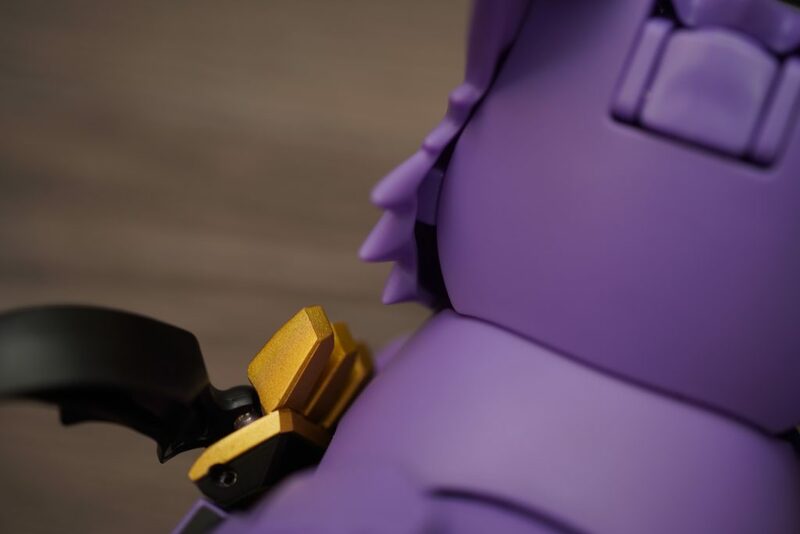 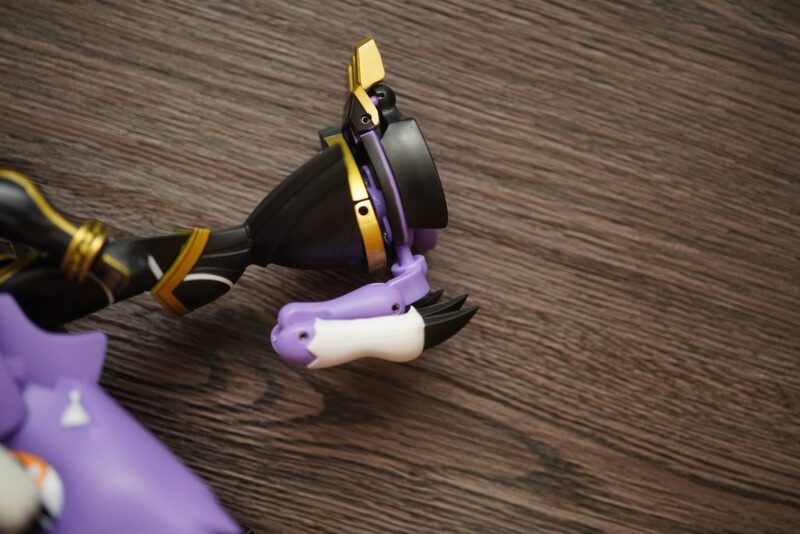 The main concern for the Alphamon figure would be its cape (which is mainly to cover for the Dorumon form) which makes the entire figure very stiff when it comes to posing. 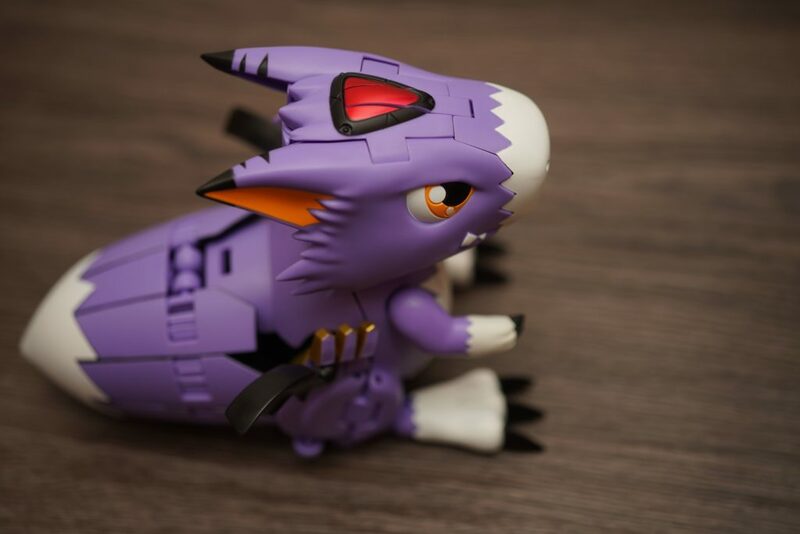 The Dorumon form is very stiff and you can’t barely move it from its standing form. 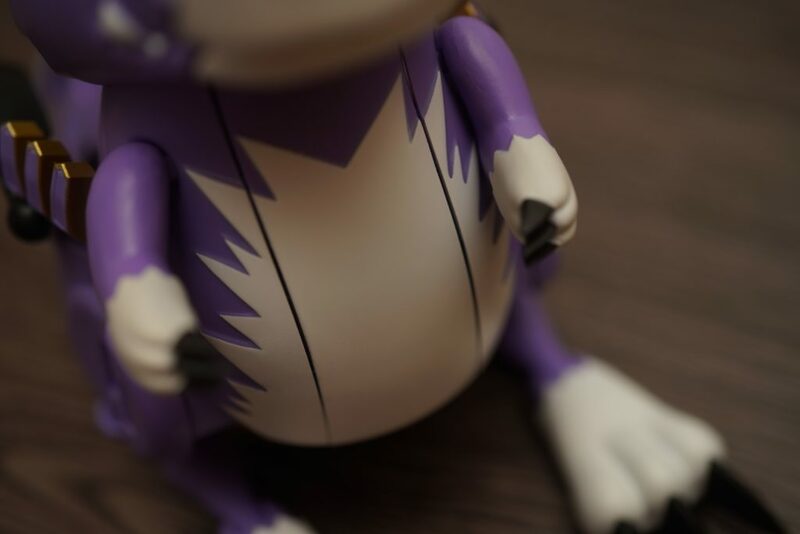 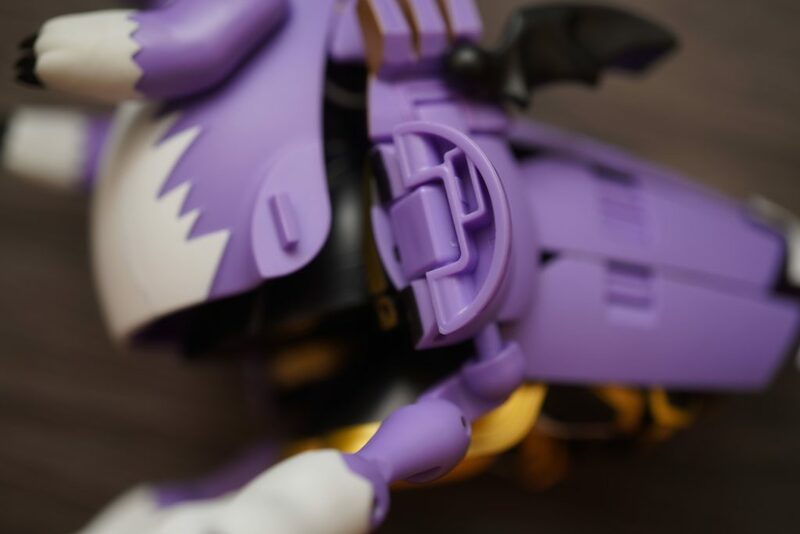 What I really like about the entire Digivolving Spirits figure line would be the details. 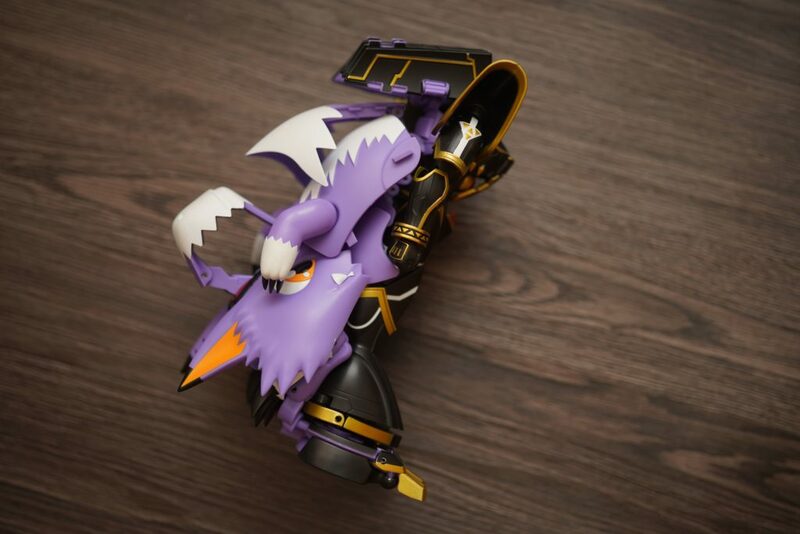 The paint apps and attention to small details are nicely done. 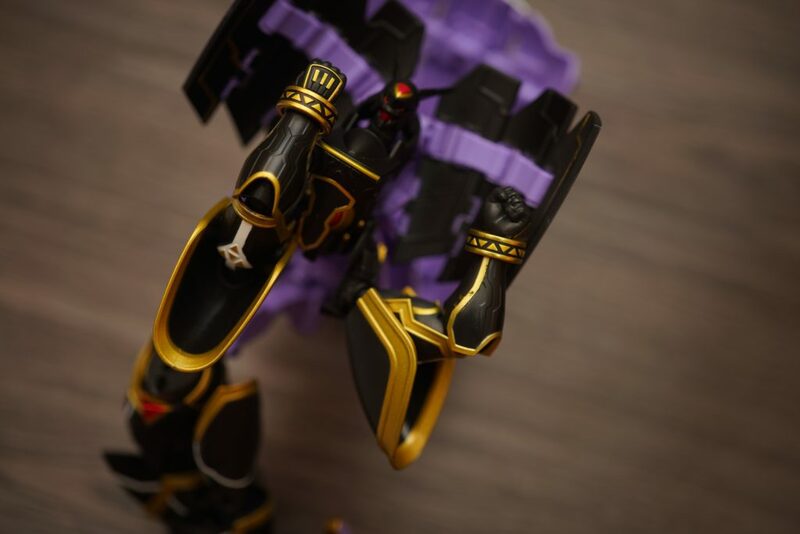 For this figure, Bandai did not disappoint, given that the figure is mainly colored in blacks and purples. 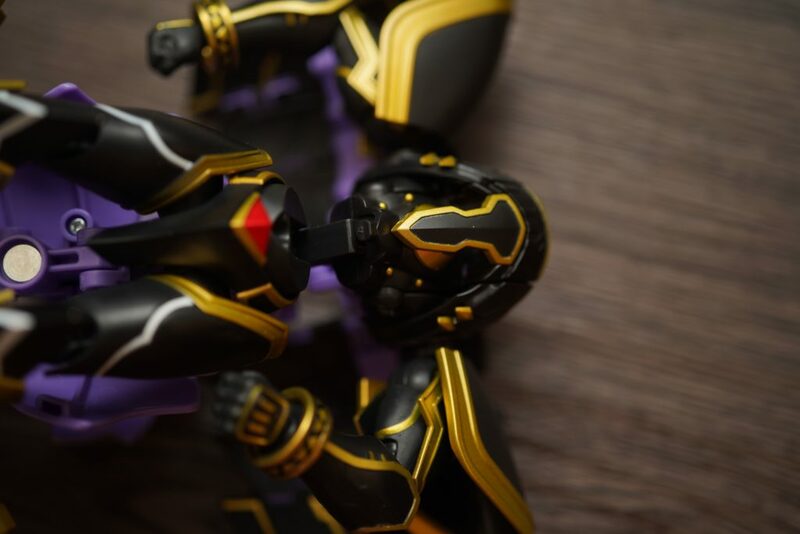 Bandai still manage to add minute details to the entire figure. 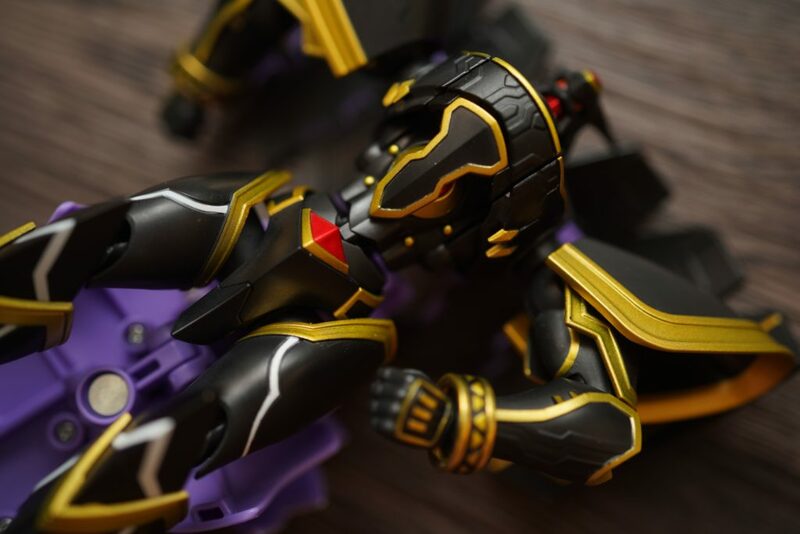 I really appreciate how they’ve added the gold streaks into the entire figure paint apps. 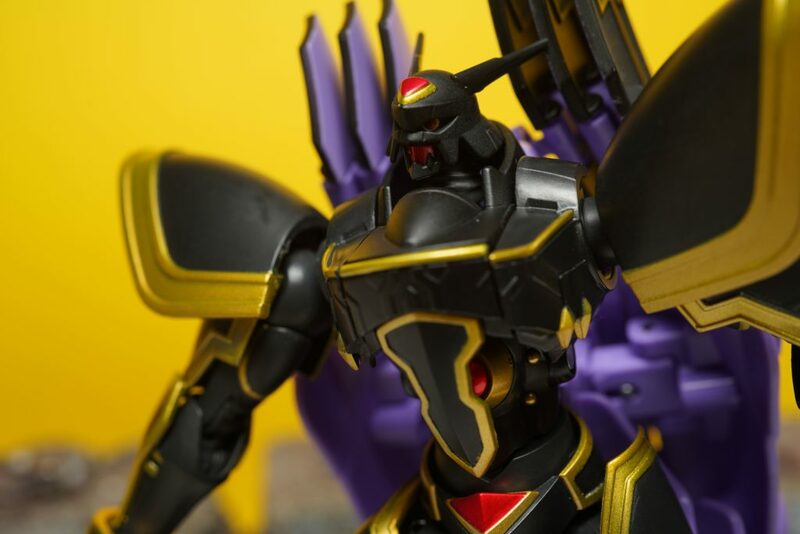 The die cast parts on this figure are located at its golden bands, the red orb on its head and the chest armor – most of these are from the Alphamon form. 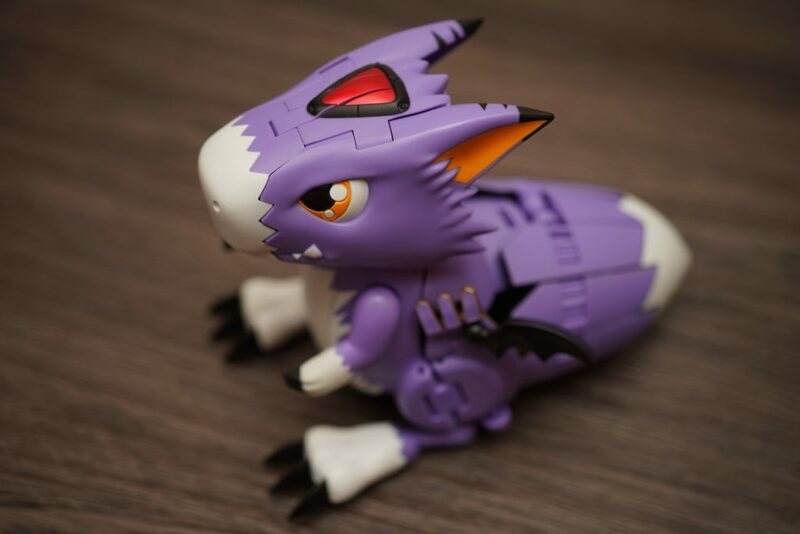 The figure set includes an additional set of hands and a figure stand for the Dorumon form. 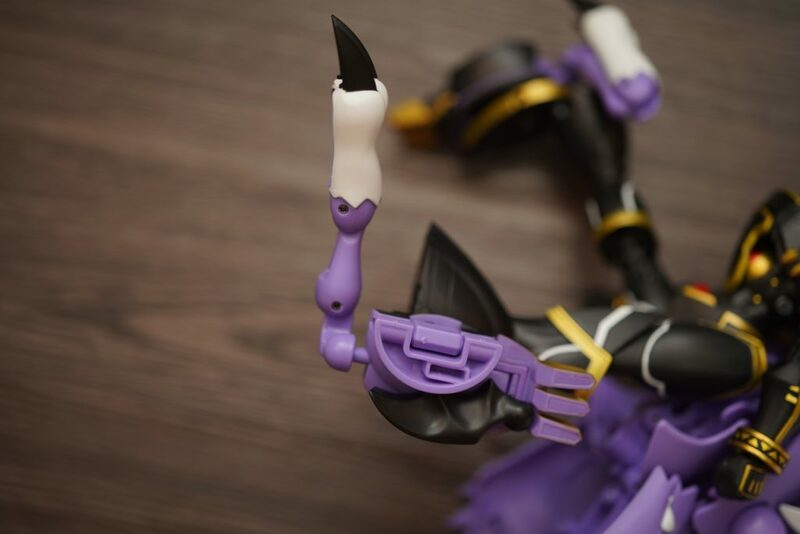 This is still a solid figure set from Bandai despite its limitations in articulation. 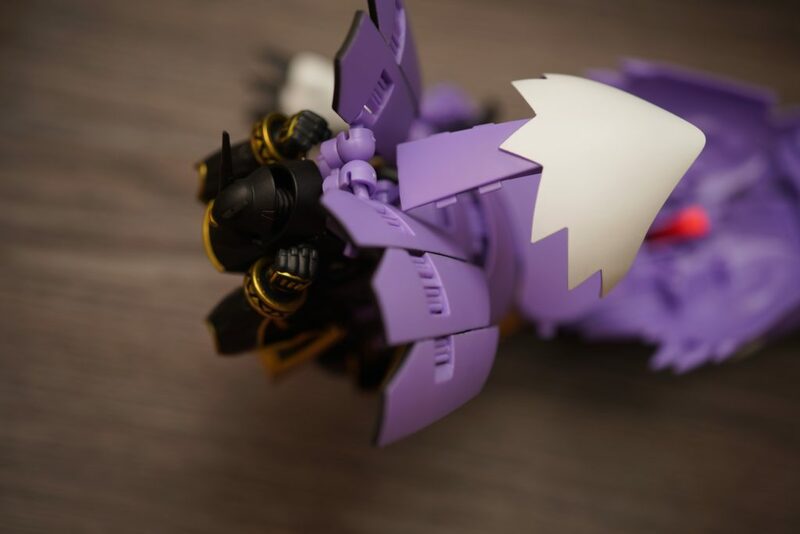 I would still recommend that you get this figure. 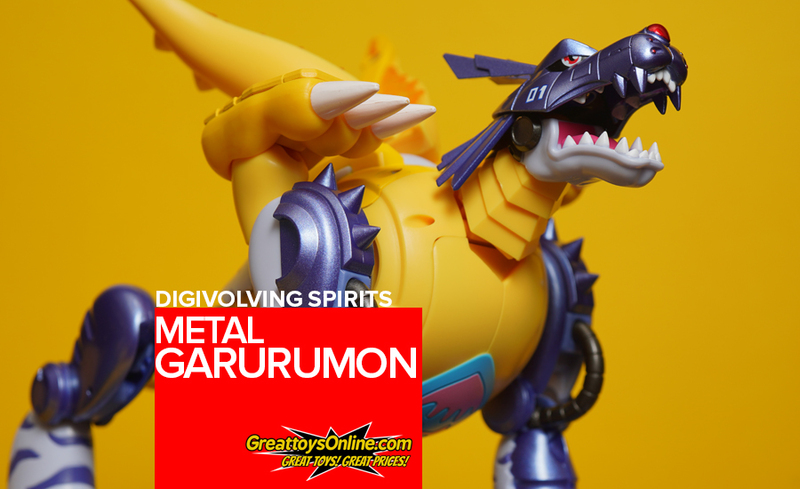 This figure goes well together with the other Digivolving Spirits figures. 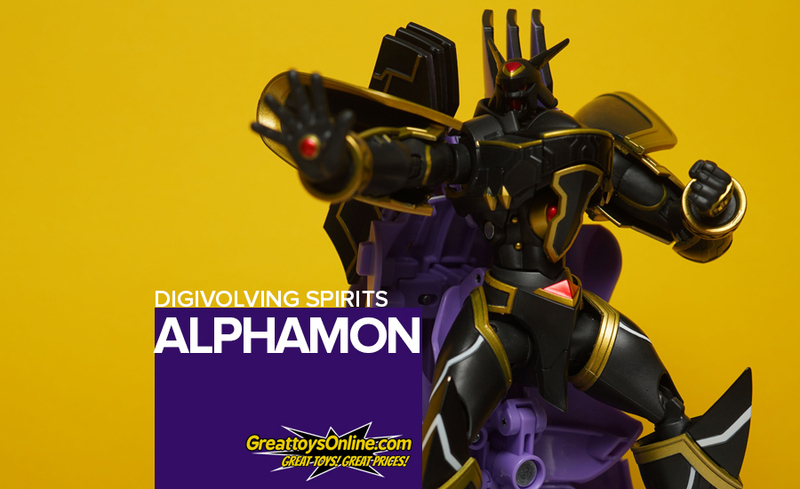 You may want to check out GreatToys Online to get your own Alphamon figure. 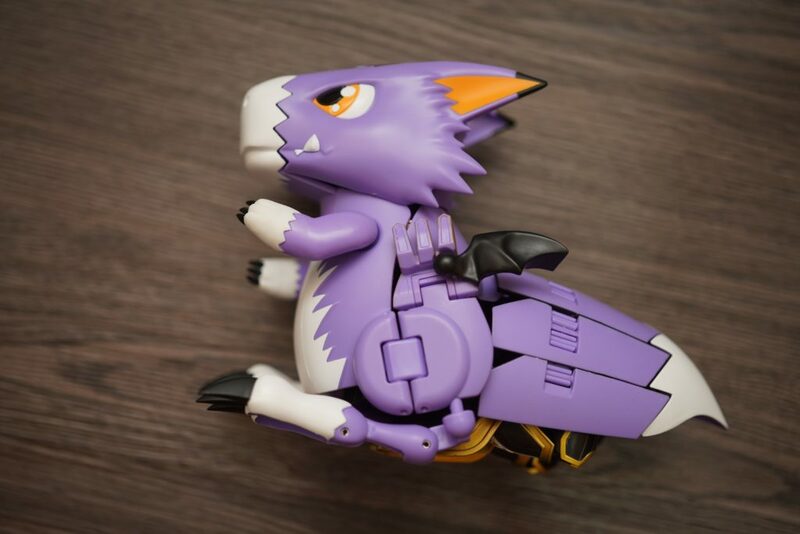 You can also check if the other Digivolving Spirits figure are available for purchase! 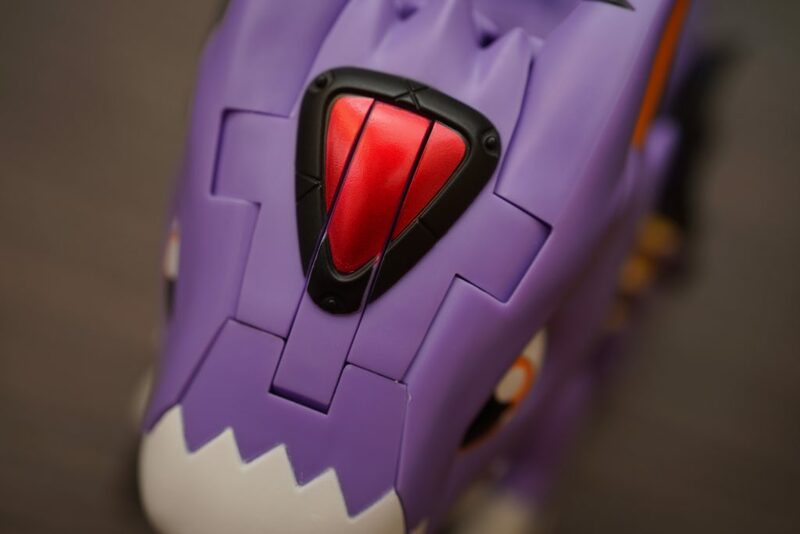 Stay tuned for the Mega Kabuterimon review, soon!